Dr. Wroblewski-Madden has been married for twenty-four years and is the mother to three wonderful children. Her boy and girl twins are now attending Ball State University and her youngest daughter is a junior in high school. She enjoys playing tennis, exercising, and walking the cutest dog ever named Cooper. Her most favorite things to do are spend time with her family, attend her children's sporting events, and to just hangout on the back porch and talk. 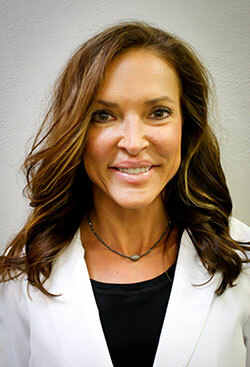 Dr. Wroblewski-Madden is a member of the American Dental Association, the Academy of General Dentists, East Central Dental Society and the Madison County Dental Society. She received her dental degree from Loyola University of Chicago after completing her undergraduate studies at Indiana University.